Go into virtually any auto detailing shop or car collector’s garage and you’re bound to find a clay bar. These inexpensive globs of earth are a vital resource for anyone who wants a paint job with a velvety smooth feel. 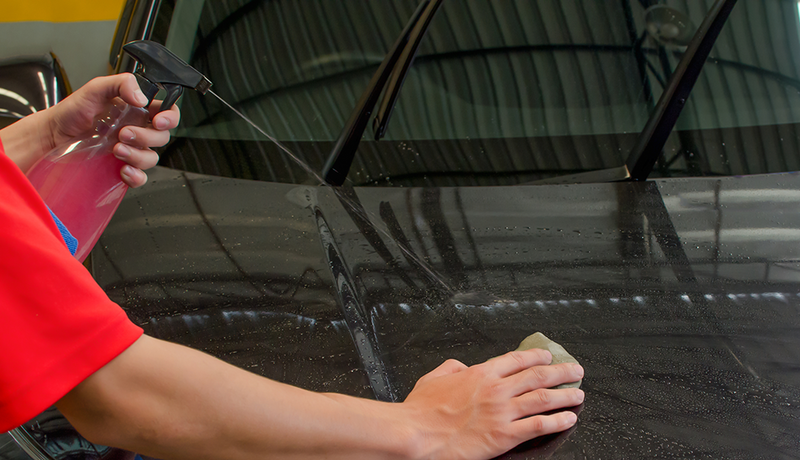 Simply put, clay bars remove contaminants bonded to the surface. Ever used Silly Putty to take print off a newspaper page? It’s the same basic principle when using clay on a vehicle’s paint job. Claying can also remove paint swirls, grit, brake dust and other unsightly blemishes from the paint. Though clay bars are a favorite of detailers and car care professionals, Olvera said the average car owner shouldn’t feel it’s for experts only. “Using a clay bar is an easy task anyone can do,” she said. “People may feel intimidated that it may damage the paint, but as long as you keep the surface well-lubricated and work in straight lines or a ‘Z’ pattern it will work great,” Olvera said. Olvera offers the following advice for working with clay. Keep the surface lubricated. Use a synthetic lubricant designed for claying. Take a little piece at a time off the bar for the best results. Clay will dry out. Store the unused clay in an airtight container to maintain freshness. Look for a clay kit. The kit typically includes lubrication, a towel and the bar itself. DO NOT use a piece of clay that has fallen on the ground. DO NOT use clay on the following surfaces: Matte paintwork/vinyl wraps, textured plastic trim or rubber (door/window seals, tires).